One of the most hunted whales in the Pacific, the grey is a large intermediate type between the rorquals and the right whales. The western population are still recovering from the extensive hunting there, while ancient Atlantic populations became extinct at least a million years ago. It is a unique bottom feeder, sticking close to the shore, giving it experience which often prevents it from beaching. One of its many previous names was "mussel digger", although crustaceans are a more prominent part of its diet. Clouds of sediment follow its activities everywhere, but this has not upset the happy whale watchers who enjoy its company. It rarely seems upset by ships or boats, although its record with whalers had a coloured history. Females defending calves can be very aggressive. The grey whale populations in the Pacific had been decimated in the 19th century by whalers, but was the decline purely down to the hunting or was the population already decreasing? The present, recovering population, shows oddly random genetic diversity. The causes for this are either the population structure in the past or a demographic bottleneck resulting in a kind of genetic shuffling of the cards. 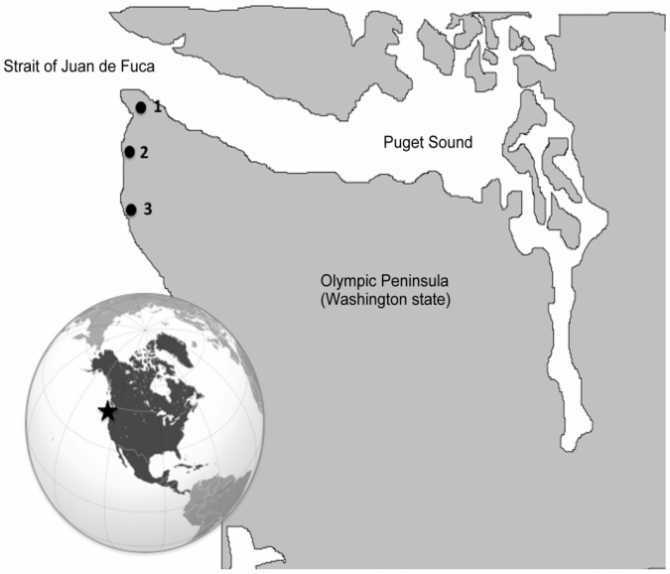 From Stanford University, California and Laramie University, Wyoming, S. Elizabeth Alter, Seth D. Newsom and Stephen R. Palumbi attempted to assess both modern whale samples and ancient DNA from bones in north-west Indian shell dumps on the Olympic peninsula. Some theories on discrepancies between historic records and modern genetic data imply there could have been a large decline before whaling affected the numbers of certain whale species. Climate change between 900AD and 1850 could explain such decline in a sensitive species. Grey whales for example were supposed to have had 15,000-20,000 individuals in the eastern Pacific population. Using census techniques, we can estimate a total population in the east of up to 35,500. Genetic data would suggest between 78,000 and 116,000! We would also expect significant genetic differences between ancient and modern populations. An isotope signature, taken from two small sets of whale bones showed only small differences showed up in terms of range or feeding habits growth in the modern population has produced a population of 11,000 in the eastern Pacific. If there ever was a decline from 100,000 to 20,000 in the Holocene period, around 12,000 years ago, no evidence supported it. All the evidence seems to support a decline only very recently from around 60,000 whales in the earlier Pleistocene period. Captain Scammon, the famous whaler and his ilk would have been responsible with comments like, "Ere long it may be questioned whether this mammal will not be numbered among the extinct species of the Pacific." Certainly studying the past state of the planets marine ecosystems will be made easier if these figures stir up more research. It's a pity they had to be so badly exploited in the past.